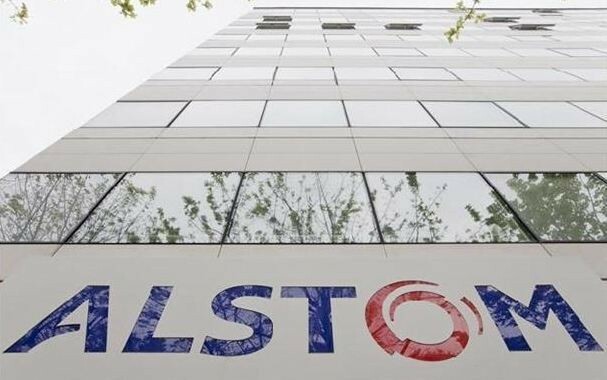 Alstom’s chief executive says the French heavy engineering firm’s agreement to sell off most of its power generation business to U.S. rival General Electric Co. (NYSE: GE) will save jobs and protect France’s national interests. The $17 billion deal was agreed over the weekend after weeks of international negotiations that reached the highest levels of French politics. The government was worried that the GE takeover would cause layoffs and hand foreign owners too much influence over a major industrial player – especially one like Alstom, which makes power plant equipment and pioneered TGV high-speed trains. After the deal is completed, Kron will be left running the company’s train, tram and railway signaling business, which accounts for around a quarter of the group’s total sales and operating profit. GE will take over Alstom’s money-spinning gas turbine business, while the two companies keep equal stakes in the small renewable energy and power grid businesses. The French state will also buy a stake in the new rump Alstom from construction giant Bouygues SA. Kron and GE’s CEO Jeffrey Immelt will visit an Alstom plant on Tuesday to talk with workers about the deal, which still needs final approval by regulators and workers’ representatives. Immelt has come to France several times to meet with government officials since GE first made its takeover bid in April. Alstom SA’s board approved GE’s offer on Saturday, after GE promised to create jobs and improved its offer, and the government withdrew its long-held opposition. Germany’s Siemens and Japan’s Mitsubishi Heavy Industries had presented a rival combined offer but failed to win over Alstom’s board. For GE, the deal is part of its new focus on building and servicing industrial equipment such as aircraft engines, power-plant turbines and oil and gas drilling equipment. The U.S. company sold its remaining interest in NBC Universal last year as part of the shift.